Today, I conclude my series, analyzing the picks of every NFL team in the 2014 draft. Since these players have yet to set foot on an NFL field, I don’t do draft grades. I don’t believe a draft should be graded for at least two years, which gives players time to develop. The purpose of this article is to discuss the players drafted, how they may fit in with their new team and talk about the competition they will face to get on the field. Each article has focused on one division. 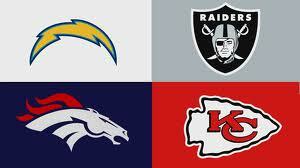 Today I look at the AFC West. The Denver Broncos led the NFL in offense behind a record setting year by quarterback Peyton Manning. The Broncos, however, were only 19th in defense and that ended up being their downfall in Super Bowl XLVIII. The Broncos have made a sincere effort to bolster that side of the ball in free agency and the draft. The Broncos had Champ Bailey, Chris Harris and Dominque Rodger-Cromartie as their corners last year. They clearly needed an upgrade in youth and talent. The team signed Aqib Talib to upgrade one corner, then drafted Bradley Roby to play on the other side. Roby was considered by many to be the best corner in the country, but he was arrested last July after an altercation with a bouncer. He had a good, but not great 2013 season and his stock fell a little bit. I still think the Broncos got a steal if he can keep out of trouble. Roby is extremely talented and can even play some special teams and has blocked some punts. He should begin the year as the starter opposite Talib. Cody Latimer has a good combination of height and weight. He lacks great speed, but he knows how to use his size to screen off defenders and his long arms give him a good catch radius. Latimer is a bit raw on his route running, but with Manning on his team, he is going into a really good situation. He is currently the #5 receiver behind Demaryius Thomas, Wes Welker, Andre Caldwell and Emmanuel Sanders. I don’t see any way he doesn’t make the team and get on the field in multiple receiver sets. Michael Schofield doesn’t have great athleticism, but he is very gritty. He gives the Broncos some versatility because he has played both guard and tackle at the collegiate level. I think he is best suited as a tackle and he is currently the backup to Chris Clark on the right side. He will be battling with Winston Justice for the top backup spot and he should be able to nail down a roster spot. Lamin Barrow has the versatility to play both inside and outside. I thought he would be a weak size linebacker, but the Broncos are looking at him in the middle of their 4-3 defense. He only plays 237 pounds, but he ran a 4.64 40 yard dash at the Combine. If Barrow is allowed to run sideline to sideline, he could make a lot of tackles. I think Barrow was a steal in the 5th round. Currently he is the #3 middle linebacker behind Nate Irving and Jamar Chaney. I think he should be able to make the roster and will probably be a very good special teamer. Matt Paradis is a former walk on defensive lineman that converted to center. He is a tough, competitive overachiever that the coaching staff will love. Right now he is the 3rd string center behind Manny Ramirez and Will Montgomery, but don’t be surprised if he doesn’t find a way to make the team. If he doesn’t, I’m sure they will sign him to the practice squad. Corey Nelson was an Honorable Mention All-Big 12 selection in 2012, but only played in five games in 2013 before tearing his pectoral muscle. He is undersized, but has good speed and a high motor. It will be extremely tough for him to make the team since he is the 5th string weak side linebacker. Look for him to be signed to the practice squad. Dee Ford is a former defensive end that will convert to linebacker in the Chiefs 3-4 scheme. He is cat quick off the ball and is a disruptive player that makes plays behind the line of scrimmage. Ford gives great effort and really knows how to pressure the quarterback. The Chiefs already have Justin Houston and Tamba Hali on the outside, so Ford will back them up, however, I can see a possibility of all three being on the field in passing situations. Phillip Gaines has a great combination of size and speed. He really improved his draft stock with good showings at the East-West Shrine Game and the NFL Combine. Gaines is competitive and gets his hands on a lot of balls. The starters at corner are Chris Owens and Sean Smith, but Gaines should be the 3rd corner and should get some reps in passing situations. After losing Dexter McCluster in free agency, the drafting of De’Anthony Thomas makes a lot of sense. Thomas was timed at 4.50 in the 40, but he looks a lot faster than that on the field. Thomas has the versatility to line up in the backfield or in the slot. At 5’9” and 174 pounds, he’s not a guy that can take a lot of carries, but his versatility makes him a weapon, especially on passing downs. Thomas is currently the 4th string running back behind Jamaal Charles, Knile Davis and Cyrus Gray. I believe he will make the roster and could make an impact returning kicks. Aaron Murray is an interesting pick. He doesn’t have great size, but he had a highly productive career as a 4 year starter at Georgia. Murray doesn’t have a great arm, but he has a quick release and has a way of making everyone around him better. He does a great job reading defenses and distributing the ball to the right player. Currently Murray is behind Alex Smith, Chase Daniel and Tyler Bray on the depth chart. It will be interesting to see if the makes the opening day roster of if they try to sneak him onto the practice squad. Either way, Murray will benefit from the coaching of Andy Reid. Zach Fulton is a raw, 4 year starter at Tennessee. He has good size and is known for being coachable. He has a good shot at making the team since he is currently the backup to starters Jeff Allen and Jeff Linkenbach. Laurent Duvernay-Tardif is a guy that flew under the radar, largely because he went to college in Canada. I had not heard of him until I heard Mike Mayock mention him just before the draft. He is a very athletic player with good size. Duvernay-Tardif did not go to the Combine, but his measureables were as good as any player that attended the Combine. I believe he will be a developmental player that will likely go to the practice squad to work on his technique. I love the selection of Khalil Mack by the Raiders. Mack is one of the most dynamic defensive players in the draft. He is very disruptive and can really get after the passer. Although he played at a small school, all you have to do is put on the Ohio State game tape to see how he can play against the big boys. Mack is penciled in as the starting strong side linebacker and should be the starter on opening day. Derek Carr is the little brother of former Texans #1 overall draft pick David Carr. Derek’s game looks a lot like his brother’s, but Derek will have the mentorship of his brother to help him develop into a successful NFL QB. Carr has a strong arm and is more athletic than you think. He is a bit of a gunslinger, which can be a good or a bad thing, depending on how he manages it. The Raiders traded for Matt Schaub in the off-season, but Schaub is not the long term answer. Look for Schaub to start the season and if things do not go well, Carr could get his chance in the second half of the season. Gabe Jackson is a big, nasty guard that can dominate in the running game. He is very strong, understands blocking angles and has good technique. At this point, Jackson is the backup to starters Khalif Barnes and Kevin Boothe. It’s likely that Jackson will start off the season as a backup, but I believe he will soon become a starter. Justin Ellis is a massive defensive tackle that is known as “Jelly” to his teammates. Ellis has some surprising quickness and movement ability for a man his size. He is strong at the point of attack and will eat up blockers. He is tailor made for a 3-4 alignment, but the Raiders play a 4-3 scheme. I believe Ellis can be successful in this scheme also. Right now Ellis is a 3rd string defensive tackle behind Pat Sims, Antonio Smith, Torell Troup and Ricky Lumpkin. I believe Ellis will make the team and will be part of a defensive line rotation. Keith McGill is a huge corner that many teams are looking for as they try to emulate the Seahawks’ success. McGill is 6’3” and 211 pounds and runs a 4.51 40 yard dash. McGill is very impressive physically, but needs some work on his technique and work ethic. The Raiders starters are Tarell Brown and Carlos Rogers. If last year’s 1st rounder DJ Hayden can stay healthy, he should be the 3rd corner. I believe McGill has a chance to be the 4th or 5th corner, but he will need to put in the work if he is to challenge for a starting job in the future. Travis Carrie was the second corner in a row picked by the Raiders. Carrie also has good size, but doesn’t have quite the size of McGill. He is a good press corner with good ball skills. Carrie will be competing with McGill for the last two corner spots on the roster (assuming Hayden doesn’t go on IR). It may be hard for Carrie to make the opening day roster. If he doesn’t, he should be on the practice squad. Shelby Harris is a small school prospect with long arms and good handwork to shed blockers. He is a versatile player that has played inside and outside, but the Raiders are interested in him as a defensive end. Harris is up against a numbers game with Lamarr Woodley, Justin Tuck, Jack Crawford and Ryan Robinson ahead of him on the depth chart. There is an outside chance that he might claim the last defensive end roster spot, but I believe he will likely be on the practice squad. Jonathan Dowling is a big, rangy safety that covers a lot of ground. His long arms give him an advantage on jump balls. In the last two seasons, Dowling has 9 interceptions and has forced 8 fumbles. Dowling will have a tough time making the roster since he is behind Tyvon Branch, Charles Woodson, Brandian Ross and Shelton Johnson, but he could possibly surprise and grab the last safety spot on the roster. Some people did not like Jason Verrett as a prospect because of his 5’9” 189 pound frame, but this is an extremely competitive player. His feistiness more than makes up for his size. Verrett is very fluid, flips his hips well and uses good technique to separate the ball from the receiver. Verrett will likely be the nickel corner with Shareece Wright and Brandon Flowers as the starters. Jeremiah Attaochu is a versatile player that has played inside, outside and even with his hand in the dirt. He has experience in a 3-4 scheme which makes him even more valuable. He and Melvin Ingram should be the backups to starters Dwight Freeney and Jarret Johnson. Freeney is 34 years old, so Attaochu has a good chance at competing for a starting position early in the next year or so. Chris Watt is a 3 year starter that is a dominating run blocker with good feet. Watt was a bit banged up in 2013, so teams didn’t get a good look at him in the all-star games or in the Combine. Watt will be competing with Rich Ohrnberger as the backup to starters Chad Rinehart and Johnnie Troutman. He should make the 53 man roster. Ryan Carrethers is a massive, run stuffing nose tackle. He is the type of player that will occupy blocks on run downs, but probably won’t be a big factor on passing downs. Currently Carrethers trails Sean Lissemore and Kwame Geathers on the depth chart. He is likely a candidate for the practice squad. Marion Grice is a versatile player that can do it all. He has good agility and is a one cut back that attacks the hole quickly. He also has very good hands and can split out wide on passing downs. Grice was #3 in the country, averaging 176.5 all-purpose yards per game. The Chargers have a stacked backfield with Ryan Mathews, Danny Woodhead, Donald Brown and Kerwynn Williams ahead of him on the depth chart. I look for Grice to be a practice squad player unless there are injuries at running back. Tevin Reese is a small, explosive receiver. He is only 5’10” and 163 pounds, but he ran a 4.46 40 yard dash. His 41” vertical jump helps him to compensate for his size. Reese has great athleticism and body control. He is a threat to go all the way when he gets the ball in space. Reese will be competing for the 5th receiver spot with Dontrelle Inman and Seyi Ajirotutu. I believe Reese has a very good chance at making the team. This concludes my NFL draft analysis series. If you like what you read, please like us on Facebook and recommend us to your friends. See you next Wednesday! This entry was posted on July 30, 2014 by draftmaniacs in Draft Analysis and tagged 2014 NFL draft, Aaron Murray, Bradley Roby, De'Anthony Thomas, Dee Ford, Denver Broncos, Denver Broncos draft, Derek Carr, Kansas City Chiefs, Kansas City Chiefs Draft, Khalil Mack, NFL, NFL Draft, Oakland Raiders, Oakland Raiders Draft, San Diego Chargers, San Diego Chargers Draft.